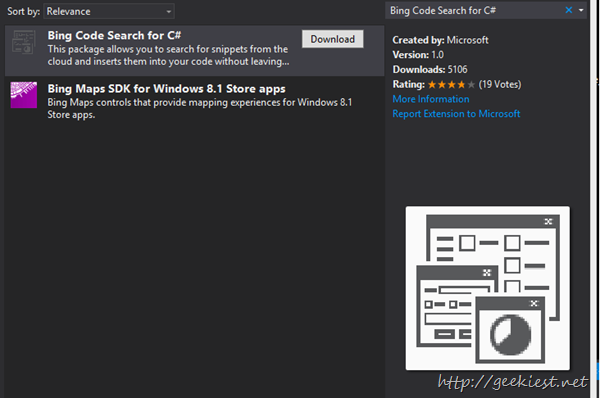 Microsoft released Official Bing extension for Visual Studio. This will help developers to search and re-use the code snippets from sites like MSDN, StackOverflow, Dotnetperls and CSharp411. 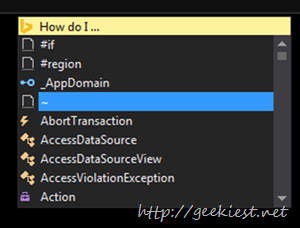 You can search what you want directly from the IntelliSense , it will show the following window and you can choose “How do I” .